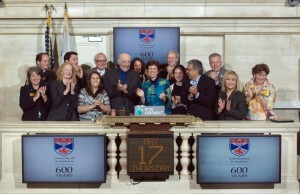 On Thursday 17 May 2012, Sir Sean Connery and Principal Louise Richardson rang the opening bell at the New York Stock Exchange. 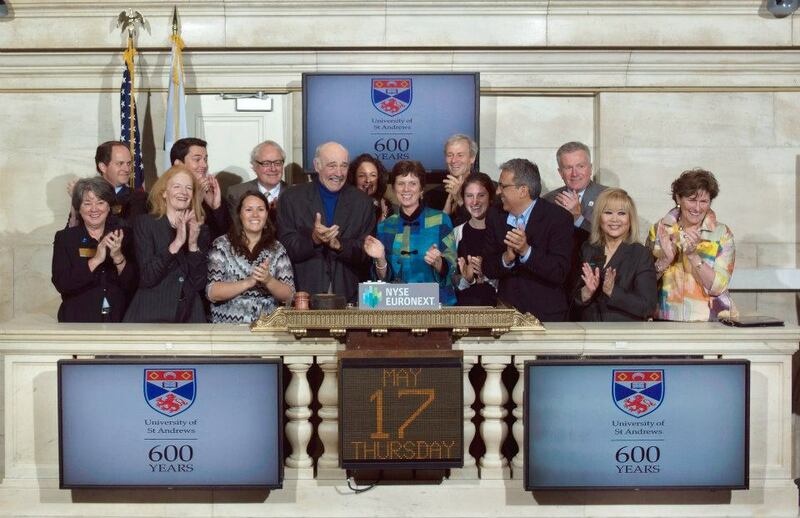 This honour was in part to celebrate the University’s 600th Anniversary. It also marked the US premiere of Ever to Excel, the new film about the history of the University of St Andrew, to which Connery contributed. The film screened at the French Institute Alliance Française on Wednesday 16 May 2012, with both Connery and Richardson in attendance.